We are four enterprising young men who understand how hard it is to find a place in Singapore’s CBD area for fresh kopi, great food, fast service and a cheerful cafe to gather together. That’s why we started Coffee Hive. 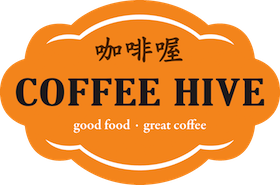 Coffee Hive is a place of comfort where you can have a wholesome dinner with your family. Or you can talk to your closest bunch of friends about everything under the sun over a cup of kopi. Delicious food should be simple, that’s why we serve you food that are responsibly produced. We take pride in our kopi. With only real ingredients used, our kopi will remind you of the traditional, but only better. We seek to provide a cozy space accompanied with honest food, homemade kopi, and good people with tradition in mind. And most importantly, they shouldn’t break your bank. Located at Science Center Singapore, Coffee Bee by Coffee Hive is kid-pleasing and has a distinctively vibrant dining environment that features a special play area for kids. That way, parents can relax and enjoy a cuppa while their children mingles around with their playmates. The menu is especially designed to cater to the adults and kids that visits, so both parties can curb their hunger after a trip around the center. So, stop by and rest your feet the next time you’re here! Other than provision of buffet catering services, Coffee Bee by Coffee Hive also provides kids bento catering services that the small appetites will love! Visit here to order.